Today we have another preview for you of our “Farm House Remodel” project, and with the recent cold weather it’s a feature we’re particularly fond of. With every remodeling project that we take on, we love finding ways to find ways to bring luxury to every corner of our clients’ homes. Tiled floors are versatile, stylish, and long lasting – but do you know what’s even better than a tiled floor? 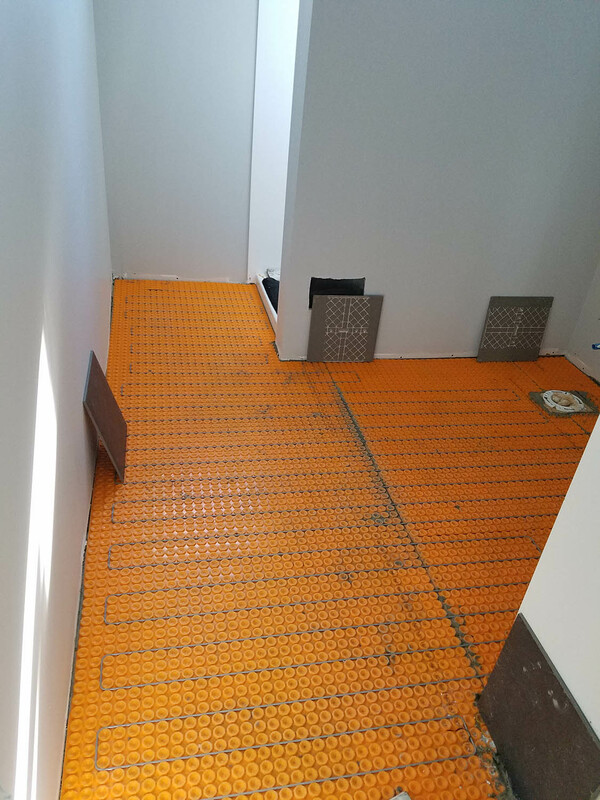 Our clients will be greeted with warm feet from the moment they step into the entry of their house, and again in their bathroom – they’ll never have to worry about the shock of bare feet on cold tile again. How’s that for a remodeling upgrade? 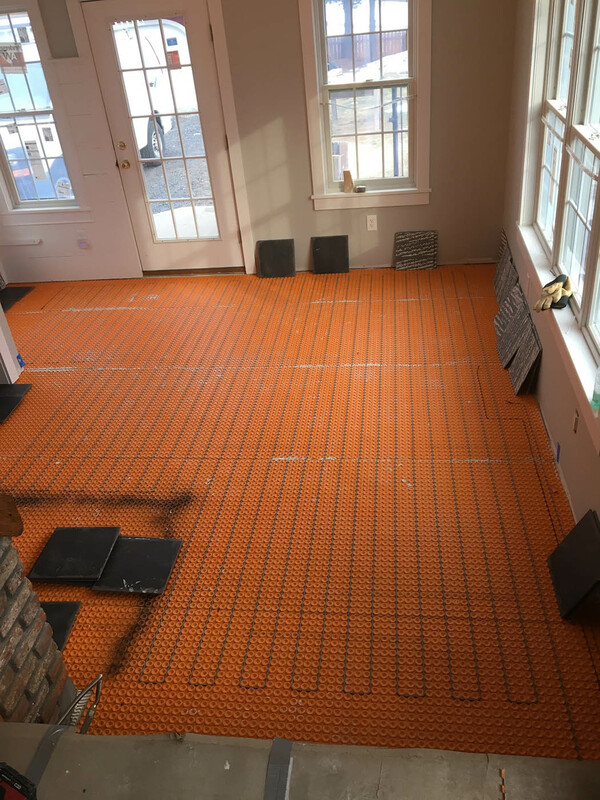 The system we are installing in our “Farm House Remodel” project is DITRA-HEAT from Schluter. 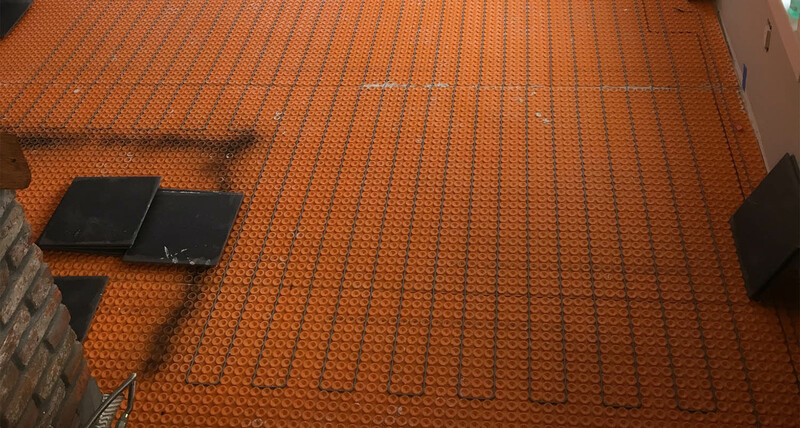 DITRA-HEAT is an innovative electric floor warming system that allows us to direct heat precisely where it’s needed, keeping the heating cables tidy and providing a sturdy surface to set tiles on. 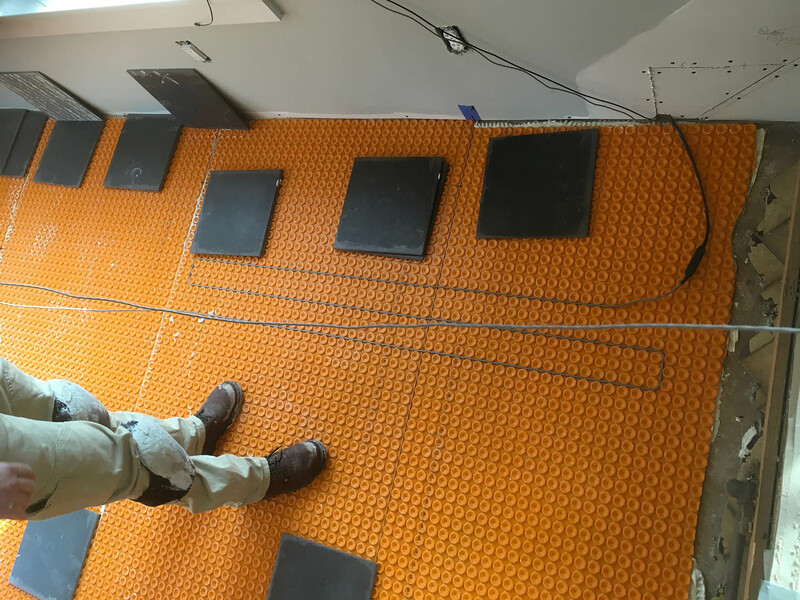 It also provides an uncoupling surface to prevent tile and grout cracking, so your tile floor lasts longer to keep your feet warm for years to come. 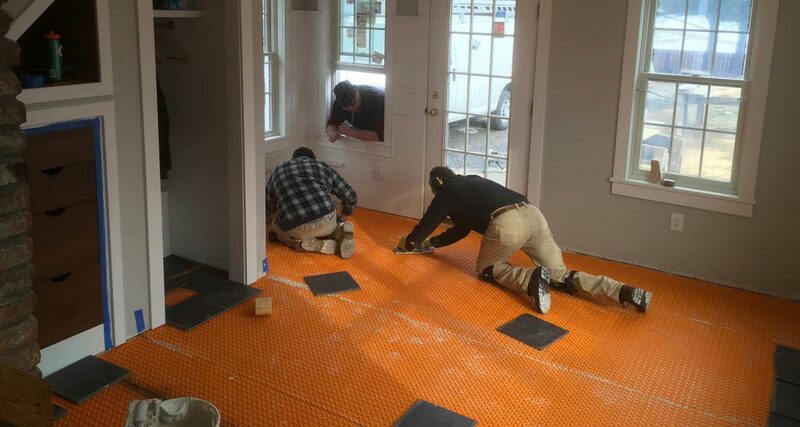 If you’re interested in upgrading your flooring with integrated heating, give us a call at 1 518 885 1835 or send us a message and let’s talk about what we can do for you!